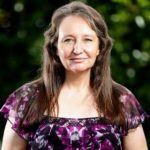 On June 19, Queensland police arrested Deb Lynch, secretary of the Medicinal Cannabis Users Association of Australia (MCUA), on charges of possessing a dangerous drug. Several officers were at her Cornubia residence on a different matter, when they noticed her cannabis medicine. Ms Lynch suffers from multiple conditions, including Scleroderma and post-traumatic stress disorder. And she’s also suffered cancer. Regular pharmaceutical medicines don’t work for Ms Lynch. So she’s been taking medicinal cannabis products for decades now, as they do make a difference. Unfortunately for Deb, she now has to front up to court, all because she wanted to ease the pain. But she’s not the only one, as there’s a long list of people who’ve recently been arrested by authorities for either possessing their own medicine, or providing it to others, who are in need of help. Two weeks back, NSW Central Coast father Michael Lambert was found guilty on charges of possession and cultivation of marijuana. The man was growing the plants to curb his young daughter’s seizures, as she suffers from Dravet syndrome. One the largest suppliers of patients in the country, Newcastle’s Ubuntu Wellness Clinic was raided by police on December 1 last year. 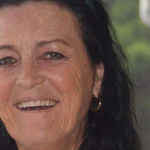 Jenny Hallam was raided by South Australian police on January 4 this year. She’s facing up to 10 years imprisonment for providing cannabis oil to patients for free. And well-known medical marijuana activist Dr Andrew Katelaris was raided by NSW police at the end of May. Australian health minister Greg Hunt announced that the government was allowing for the fast-track importation of medicinal cannabis products into the country back in February. The first batches of the products arrived from Canada in May. However, there’s so much red tape surrounding accessing the imported medicine that by the end of May there were reports the products were simply sitting in warehouses in capital cities. For a patient to obtain the imported products they have to see an authorised prescriber, of which there’s only 25 in the country and they’re not allowed advertise. Or there’s the other option of acquiring it via the Therapeutic Goods Administration’s Special Access Scheme (SAS) Category B, which is a very lengthy process. A Greens motion passed through the federal Senate two weeks ago that allows terminally ill patients to access the medicine via the SAS Category A pathway, which is a much faster process. But, due to regulations these patients aren’t allowed to access the imported products in the warehouses. The Turnbull government passed legislation in February last year, allowing for the legal cultivation, manufacture and distribution of medical marijuana. But despite the licences that began being issued to businesses in February this year, there’s still no legal homegrown product available. 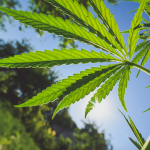 “While it is technically legal to avail yourself of cannabis medicine, it is practically impossible,” renowned ANU medical lecturer Dr David Caldicott told Guardian Australia last week. 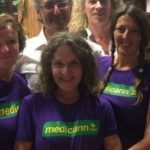 The doctor was running Australia’s first doctor’s workshop on cannabis medicines, as part of the 2017 United in Compassion Medicinal Cannabis Symposium in Melbourne last week. Sydney Criminal Lawyers® spoke with secretary of the MCUA Deb Lynch about being arrested for the medicine that she needs, the outrage medicinal cannabis advocates are feeling and the government’s constant prioritising of the interests of business over those of patients. Firstly, Deb you’ve just been to the police station where you had your photo and fingerprints taken, all because you were found in possession of a plant that you use to treat your illness with. Angry. They had no right to take my medicine. Mainstream medications weren’t working. The doctors know that. All of my specialists are well aware. And I have reports substantiating that they all know and are supportive that I use cannabis and it’s actually working for my conditions, where their treatments weren’t. Last Monday evening, police arrested you for possession of cannabis. What actually happened at the time? They came here on another matter, and they found my own medicine. No one else’s, just my own medicine. And oils that I’d made up for the next three months. Producing a dangerous drug. Possession of a dangerous drug. Possession of utensils and possession of implements to make dangerous drugs. I haven’t got the official charge sheet yet. But that’s the piece of paper they gave me on the evening. So from here what’s next for you? When do you have to appear in court? I have to appear in court on July 19. And what could you be facing? As far as I know, 10 years gaol. At present, there’s tens of thousands of Australians out there using medicinal cannabis to treat their illnesses. The federal government legalised cannabis medicines last year to make them available to the public. But very few people who need them can actually get them. What options do most patients in this country who use medicinal cannabis, or need to use it, actually have? No options. Particularly, the people who are already treating themselves, and know the specific strains that are working for them. The first thing we desperately need are testing facilities. None of the people can get their oil tested, in order to have their prescriptions written. That’s my problem. I have a doctor that’s prepared to write me a prescription. However, until I can get the oil tested, and get the ratios and levels of what all the cannabinoids and terpenes are, I can’t even get a prescription written. But, if you could get it tested, and you were able to get a prescription from the doctor, you’d be able to access imported products, is that correct? Yes, but then we get to the next problem. I’ve already checked with every available supplier in Canada. They only carry one of the four strains that I require. So I couldn’t even import the medications, even if I could afford them, which I can’t. There’s a long list of people who’ve been arrested for possessing medical marijuana recently. This is a plant that’s now legal for recreational use in eight US states. 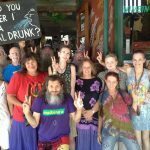 How many Australians are actually being arrested for possession of cannabis that’s just being used to treat illnesses? And how long do you think this can go on for? There are many people we don’t even know about that are being arrested. Because many people are too embarrassed to admit it, or afraid to bring more attention to themselves. And this is going to continue until we get the laws right. I told Bill Turner (head of the Office of Drug Control) that on paper, in theory, what they’re drawing up, they believe it’s going to work. But in the practical application it is unworkable for patients. There is no way we can even use it. What do you think the position of the police is on medicinal cannabis? I spoke to the police about contacting their union, because it’s about time they stood up and said that this is wrong. They told me that it was up to us to get the laws changed and that they are only following instructions. They didn’t say that they were supportive, but they also didn’t say that they were against it. They said that they understood, but the law was the law. And we had to get the laws changed. Over the weekend, you attended the 2017 United in Compassion Medicinal Cannabis Symposium. I did and I also did the Medical Cannabis course. I’m now a member of the Australian Society of Cannabis Clinicians, as well as the American Society of Cannabis Clinicians. I’ve already done a course with them two years ago. So that was the course on Thursday that was run by Dr David Caldicott? Can you elaborate on what your qualifications provide you with? Basically, if I was in America, I could treat patients. And how was the symposium itself over the weekend? It was pretty good. There was some misinformation, but I think it’s more of a case that the doctors haven’t caught up with what the patients know yet. At the symposium there were a lot of prominent politicians. You had the leader of the Australian Labor party Bill Shorten. Victorian minister for health Jill Hennessy was there. And NSW Labor MP Adam Searle was also in attendance. These prominent politicians were all there to discuss the benefits cannabis medicines, and the need to make them more accessible. However, just days prior you’d been arrested for having the plant products in your own home. What was the reaction like of people at the symposium to your plight? The cannabis community is angry about it. We’re fed up. They’re picking off one supplier, or oil maker, or healer after another in every state. 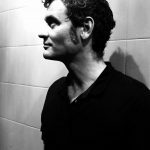 We have Margeaux Drum and Tim Markham in Western Australia. Jenny Hallam and Mark Rayner in South Australia. We have Ubuntu in NSW and me in Queensland. This is becoming a national problem, because it’s happening in one state after another. It’s alright for the federal government to say it’s legal. But the state governments are the ones who are enforcing the drug laws and they’re still picking us off one by one. Do you think there’s a bit of crackdown at the moment? I wouldn’t say there’s a crackdown. But I would say that they want us all gone. And why do they want you gone? So that they can have sole control over it. They want this as a pharmaceutical product run through pharmaceutical companies, to pharmaceutical standards, instead of it being the cottage industry that it really needs to be, because patients need personalised tailored specific strains in their treatments. Can I ask this question? Medicinal cannabis has come to the forefront of public attention over the last five or so years. But when it wasn’t mainstream public knowledge, how long have patients actually been using cannabis medicines? I’ve been using it since 1988. Really? That long? So there have been people out there using cannabis medicinally for decades now. Decades. Decades without a problem. 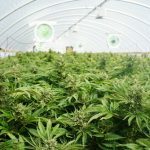 Australian Greens leader Richard Di Natale announced last week that he will be producing legislation to make it easier for patients to access Australian-made medicinal cannabis. Like all the politicians’ bills, we’ll have to see what’s in it and what the regulations say. Because they say one thing and they actually do another. And lastly, Deb, people have been debating medicinal cannabis for years now. There’s been law reform around it. And yet despite all this, most patients still can’t access the product and people like you, who are providing for themselves, are criminalised for it. In your opinion, what do you think needs to happen moving forward? Number one, they need to start talking to the patients. They’ve never spoken to any patient group to see what we actually need. We’re the consumers in this. But their marketing strategies are not directed at what we need. It’s at what they can see will make them and big business money in the long run. I pointed out to Bill Turner that I was at the cultivators meeting in Melbourne twelve months ago, when he spoke. And he said there that the government’s main priorities are their international reputation, and the future export markets. It’s got nothing to do with patients. And patients are the ones this should be about. Deb, thanks very much for taking the time out to speak with us today. And best of luck with your pending legal proceedings.